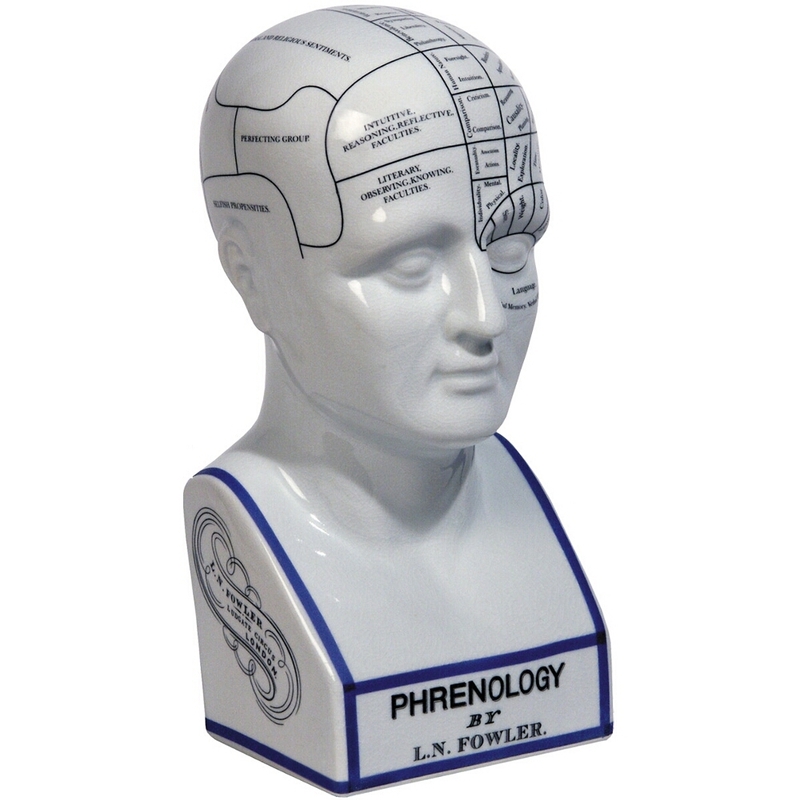 The Authentic Models porcelain Phrenology bust is an exact replica of the Staffordshire china fine cracked porcelain originals. Phrenology is a foreign subject to our modern medical practices but in the Victorian era it was common practice. Each of the 48 faculties of the brain served as a sort of map to a person's innate nature and personality, with such areas as love, intellectuality, energy levels, and morals. Doctors believed they could tell everything about a person from mapping out the bumps and oddities of the human skull. Although Phrenologists are no longer in practice this bust will serve as a great conversation piece on your mantle or bookshelf.